Peter Harrison is an approved wedding caterer for Glemham Hall. The 16th century family home is surrounded by 300 acres of beautiful Suffolk parkland and is offered exclusively to couples and their wedding guests for complete privacy. Located in lovely village of Newbourne in Suffolk, Newbourne Farm Shop is a family run farm shop selling home grown fruit & vegetables and locally sourced, Suffolk food. They offer great quality, home grown, local, organic produce including groceries, meats, vegetables, bread, flour, eggs, dairy, sausages and bacon. Robert White along with his family runs a small organic farm near Theberton in Suffolk. 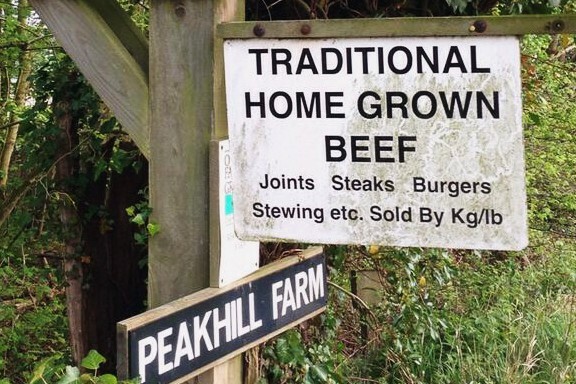 They’ve been organic since 1999 and raise some of the best grass fed beef from their pedigree South Devon suckler herd. In the summer they also grow organic vegetables, specialising in salads. Peter Harrison is a recommended caterer for wedding receptions at the Tudor Barn Belstead. The immaculately restored barn is a unique and flexible space located in seven acres of informal wooded grounds in the village of Belstead, Suffolk close to the Essex border. In Suffolk there’s an abundance of wild game. The Wild Meat Company source and sell venison, game birds, rabbit and even squirrel entirely from farms and estates in east Suffolk. The company has been named as one of Rick Stein’s Food Heroes and highly praised by Hugh Fearnley Whittingstall and Paul and Robert work with an extremely committed team of butchers, meat packers and drivers, making a happy team even during the busiest of Christmas period.